Afaghi, N., modarres motlagh, A., Seiedlou, S., Hasanpour, A. (2013). Simulation Shrinkage and Stress Generated During Convective Drying of Carrot Slices. International Journal of Advanced Biological and Biomedical Research, 1(12), 1660-1668. Negar Afaghi; Asad modarres motlagh; Seied Sadegh Seiedlou; Ali Hasanpour. "Simulation Shrinkage and Stress Generated During Convective Drying of Carrot Slices". 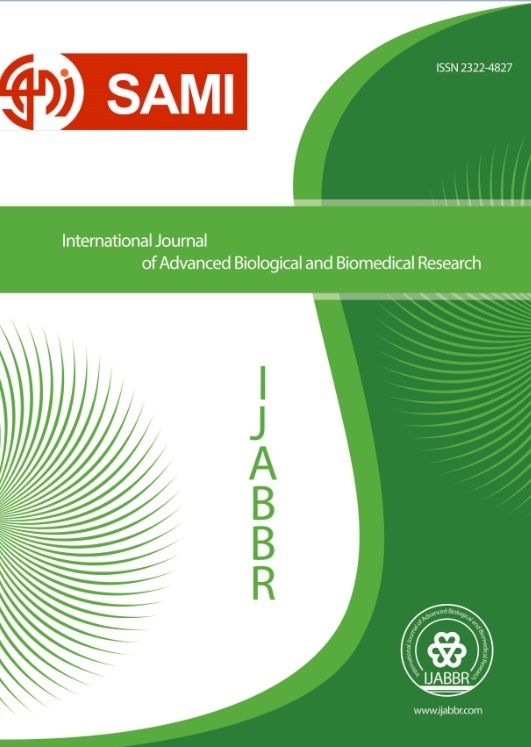 International Journal of Advanced Biological and Biomedical Research, 1, 12, 2013, 1660-1668. Afaghi, N., modarres motlagh, A., Seiedlou, S., Hasanpour, A. (2013). 'Simulation Shrinkage and Stress Generated During Convective Drying of Carrot Slices', International Journal of Advanced Biological and Biomedical Research, 1(12), pp. 1660-1668. Afaghi, N., modarres motlagh, A., Seiedlou, S., Hasanpour, A. Simulation Shrinkage and Stress Generated During Convective Drying of Carrot Slices. International Journal of Advanced Biological and Biomedical Research, 2013; 1(12): 1660-1668.